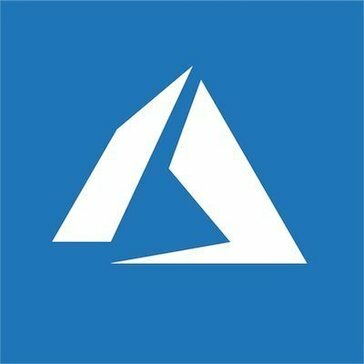 Work for Azure Linux Virtual Machines? Learning about Azure Linux Virtual Machines? "Azure Linux VM could be very useful to any organisation :)"
The most important thing which I don't like about this product is its cost, it is expensive and cheaper alternatives are available in the market. Another point which could be improved is its user interface, for a beginner it could be difficult to remember all the sub options available. We deploy our product on the Azure Linux Virtual Machines and offer these machines for development/testing purposes to all the members of our team. This product plays an important role in achieving Continuous Integration/Continuous Deployment. "Azure - Great for Linux "
The ability to create templates for deploying different services, combined with the flexibility of using powershell and the Azure CLI makes continuous integration easier. Sometimes new features that are in public preview can be somewhat temperamental. These features can change too, so investing dev time in a great feature months later can result in the need to rework some things. Take time learning how to write templates from scratch. Simply copying the generated templates and hoping they will be reusable is a bad idea. There is lots of documentation on the template system. "Azure -- Compatible and ease for Linux"
Also, managing remote connectivity is simple enough to control. Definitely the cost. I think it's cheaper to afford storage with Amaxon S3. Definitely been a very easy experience. Positive experience in my part. Deployments of the sharepoint server. "Needed some help but overall not too bad"
* We monitor all Azure Linux Virtual Machines reviews to prevent fraudulent reviews and keep review quality high. We do not post reviews by company employees or direct competitors. Validated reviews require the user to submit a screenshot of the product containing their user ID, in order to verify a user is an actual user of the product. Hi there! Are you looking to implement a solution like Azure Linux Virtual Machines?